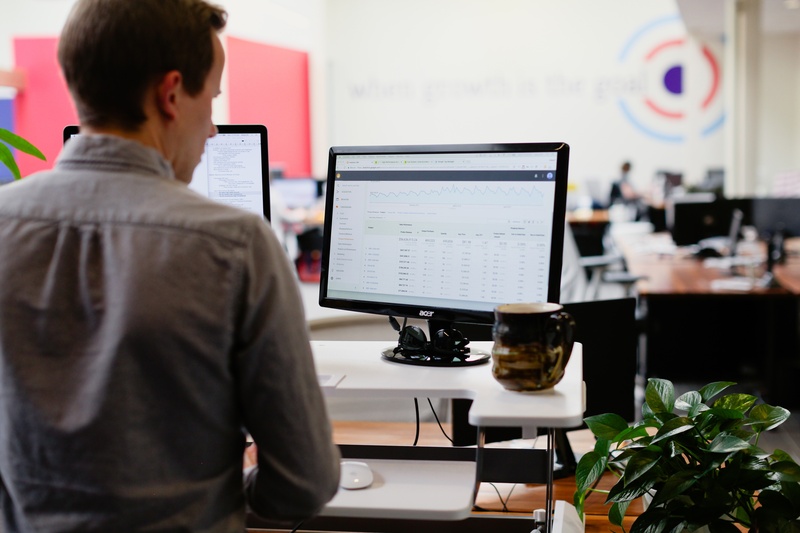 Adept’s Excel Nerd takes on the challenge of creating useful pivot tables from Google Analytics and SEMrush data. Learn how to do the same with this step-by-step guide. SEMrush regularly introduces beta tools that make my life easier, and the more I use it, the more I love it. SEMrush has recently launched their Organic Traffic Insights that is helping solve the not provided problem. Their new tool will give you similar data, but there's no harm in knowing how to manually dig deeper into your data. 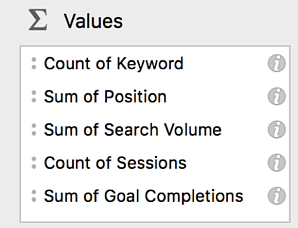 In this post I’ll cover how to combine SEMrush and Google Analytics data in order to map keyword opportunities with top performing pages for SEO. 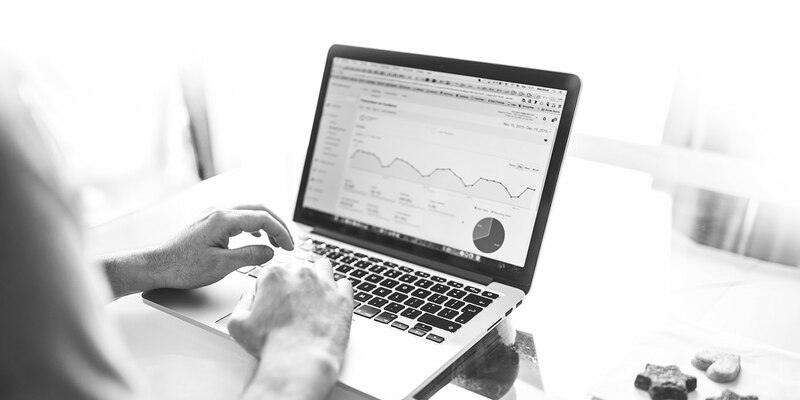 In the end, you’ll have a pivot table that summarizes each landing page’s average rank, number of keywords, total search volume, sessions, and goal completions. You can customize this with whatever key metrics are KPIs for your business. Follow these steps, and you’ll have a series of useful tables in no time! Save the export file as a new name and ensure it’s an Excel workbook and not a CSV. 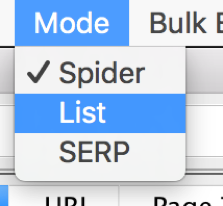 Tip: If you only want certain pages or keywords, you can filter the results before exporting or once it’s in Excel. 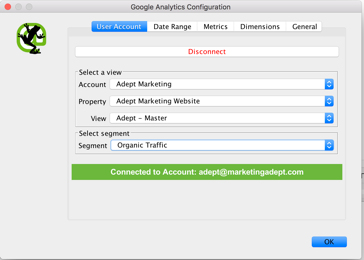 Tip: If you don’t have Screaming Frog (but really, you should get it), you can go into GA and export the top organic landing pages for the same GA data. 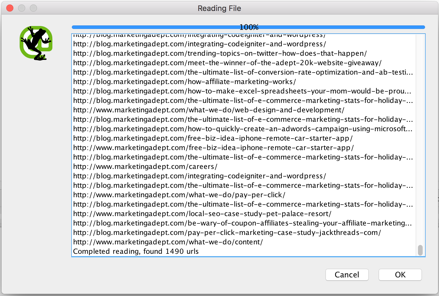 Either way, the goal is to get two data sources with a common data point of the URLs. You should now have a worksheet with both data sources in their own tabs. I do this to keep at least one clean version of the data in case I need to reference back for some reason. After that, I remove columns I don’t care about right now – like previous position, number of results, etc. This new combined data tab will be where we start working off of from now on. (You could have easily have done the same with the Screaming Frog data and reversed the rest of the steps). Next, we are going to combine the GA data from the Screaming Frog export onto the new SEMrush Tab, using Index Match. 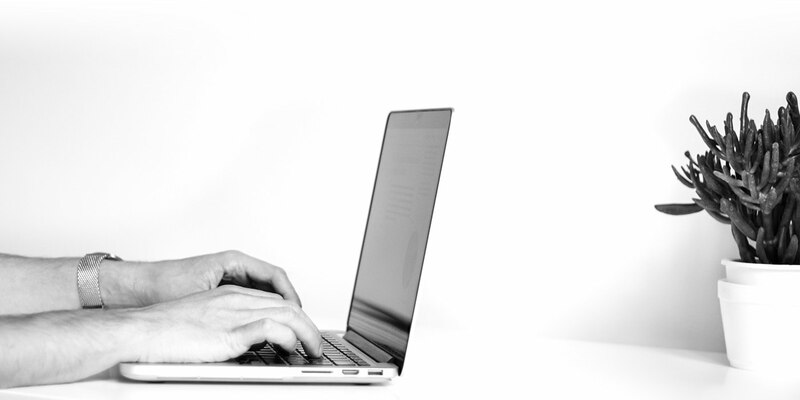 Learn more about index match here if you aren’t familiar. Identify the common data point between your two steps of data. 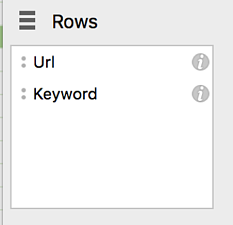 URLs in this example: Data Source 1 has URLs in column F, Data Source 2 in column A. 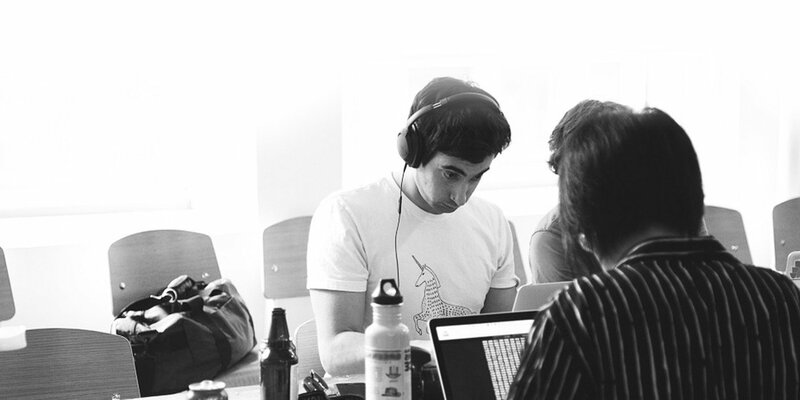 Identify what data you want to bring from Data Source 2. In this example, I want sessions and goal completions in columns AI and AP. Tip: You may want different data than I did. This goes back to the original API crawl setup and deciding which metrics you want to include. You have successfully combined two data sources! Click in the table. Go to Insert > Pivot Table. Make sure the pop-up has the right data and keep New Worksheet selected. 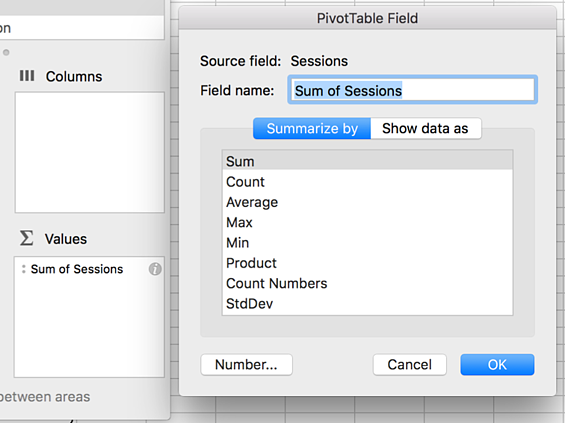 The Pivot Table builder will pop up. Don’t be afraid of it! The two pieces that matter the most right now are the “rows” and the “values." 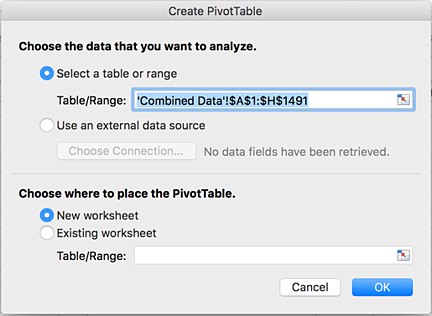 Rows will be the data points that end up in the left of the pivot table. Values will be the data that is summarized for the rows. - A simple table would be URLS in rows and count of keywords in values. This will tell you the number of keywords for each URL. But that data doesn’t tell you much right now. We need to build off that to get more actionable data. - Keep in mind that you can change the function for the value summaries. Click on the i next to the value to change the way it’s calculated. We will be using this to customize our data to average, sum, or count later. Tip: You decide what to use (avg, sum, count) based on what type of summary data you want from the data. - I choose average of position instead of sum so we don’t sum up all of the positions and instead get an average of the position. 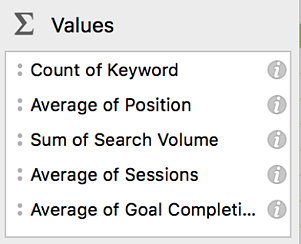 - Sessions and goal completions are averages as well because every keyword that ranks for the same URL will have that URL’s sessions and goal completions. 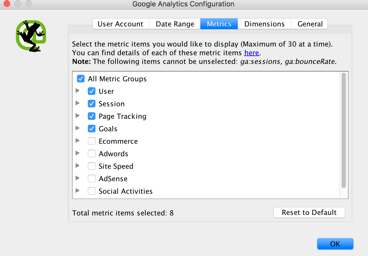 Summing this data up will give a wrong data summary at the URL level. Averaging will give the average of all the data, which is just the URL data. You made it to the final step! 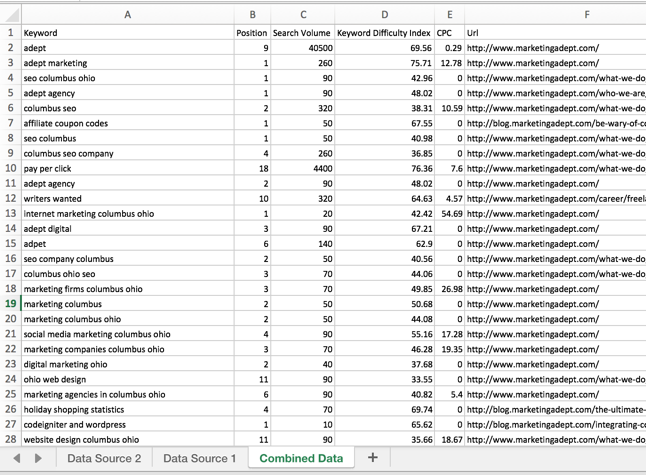 Here, we’ll clean up the pivot table by changing the colors, collapsing all fields, and sorting by a KPI to prioritize. Now it’s ready to play around with and find actionable insights! When you’re using this brand new knowledge to go off and try it out on your own, you may run into questions. If you do, or would just like to leave us a comment, tweet at us or leave it below! Note: Some data was made up for the example.